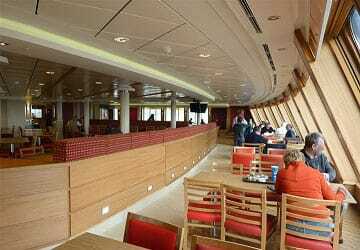 The biggest ferry on the Channel, the Spirit of Britain is 700 feet long, almost 100 feet wide, and can carry more than 1,000 cars as well as 2,000 passengers. 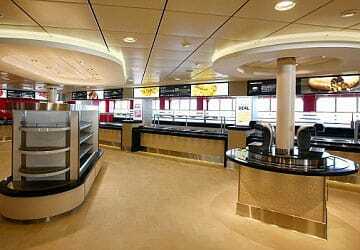 Onboard you will find an international food court, bar and cafe, discounted shopping, a brasserie, games room, family lounge, bureau de change, an exclusive club lounge and much more. 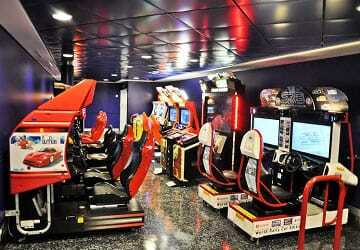 There are no cabins onboard however seating is available in the club class lounge. 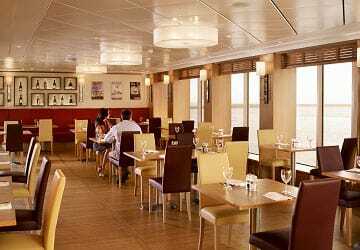 Pre-book to enjoy a touch of luxury during your channel crossing including a complimentary glass of champagne, tea, coffee, soft drinks and newspapers – all served by friendly staff. 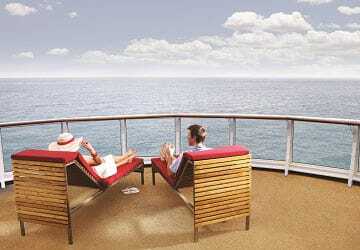 With a choice of bars and restaurants onboard there really is something for everyone, to suit all tastes and pockets. 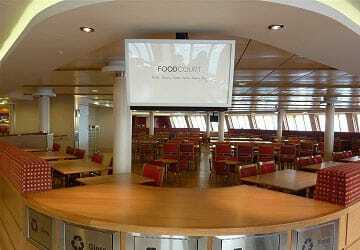 If you are travelling with the family then head to the Food Court, serving exciting cuisine from around the world - the place for a tasty curry as well as freshly prepared traditional British fare, like fish and chips! If you prefer to dine in style, why not try the Brasserie, with the highest quality food and wine served to your table. 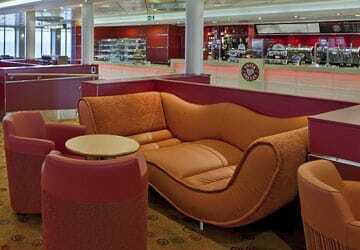 The onboard coffee shops serve a selection of light snacks and pastries - plus a wide range of hot and cold drinks, including the famous Costa Coffee. Check out the Bar for a fun and lively atmosphere and a perfect place to socialise whilst enjoying a drink. 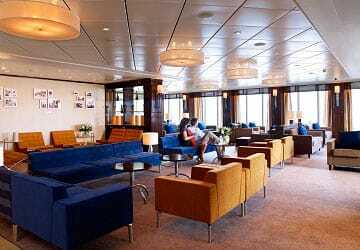 Those travelling with children may prefer the family lounge which features comfortable seating with a bar, light snacks, tea, coffee and soft drinks on offer. In the summer months there’s also an alfresco bar. 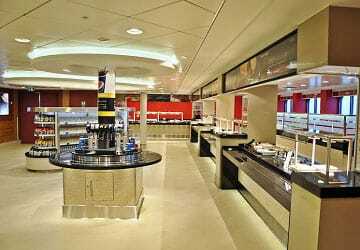 There are some great bargains to be had in the onboard shops with literally hundreds of products considerably cheaper than you can find anywhere in the UK. Not only will you find great savings of up to 40% off high street prices on selected fragrances, skincare and cosmetics, but you can also save up to 30% on wine, beer and spirits too. The onboard shop also stocks the latest in travel entertainment aimed at making your journey more comfortable, including the latest best-selling novels, toys and games for the whole family. You’ll also find free wifi, a commission free bureau de change and an ATM machine. 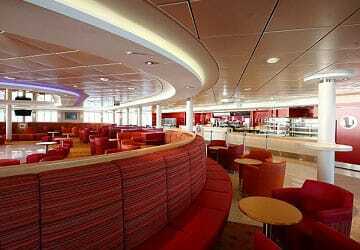 For children there’s a variety of activities onboard including play areas and quieter spots for watching videos. During the summer holidays when many people take their family breaks, you will find children's entertainers onboard with specially trained staff to encourage creativity with some supervised painting or drawing, allowing parents time to sit and enjoy their own space. Please Note: Whilst we have taken great care in making our Spirit of Britain guide as accurate as possible, onboard facilities, services and entertainment may vary depending on the date and time of year that you travel, facilities mentioned may change without notification and ferry companies reserve the right to operate vessels other than those mentioned at time of booking without prior notification. From on line booking the night before, access to the Port, Passport Control, Customs, Boarding and tying down of the Motorcycle it was seamless and time efficient. Sailing was on time and slick. Access to food and drink fast as motorcycles get on first. Ship clean and crew efficient. Again one of the first off and on my way. Easy peasy. At the most it took 30 minutes longer than the Chunnel but hey at almost a third of the price of the Chunnel it was a no brainer bargain. A welcome time to relax for an hour in comfort and give the bum a rest. Have a bit of lunch. From a previous fan of the Chunnel to now a fan of the Ferry. Right throughout our travelling itinerary, we had a great experience with P&O at both Dover (outbound), and Calais (inbound). There was practically no waiting around, at either port, to board the vessel with our car. 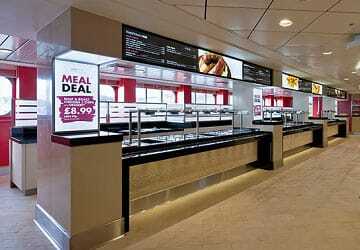 The staff were very friendly, and quick at getting things organised. We didn't eat from the Food Courts, so I can't give the food an overall rating, but their sandwiches etc were pretty nice. We had a great experience with P&O, and will definitely be using them again for future travels to Europe. "Club Room is worth the extra money"
All good slight delay going out due to storms overnight, journey both ways comfortable. Return trip affordable too. Can’t comment on catering as we didn’t really participate but my husband asked for a coffee but realised at end of drinking it he had been given hot chocolate!!!! I treated myself to club this time. I. So glad I did as it was an excellent experience. 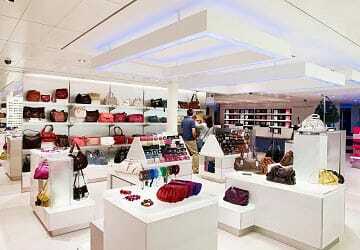 Staff were so friendly, met my every wish and service very prompt. Good free glass of champagne and a comfortable view. The form beef sandwich a little strange and difficult to eat at such low coffee tables but good ideas in the right direction. 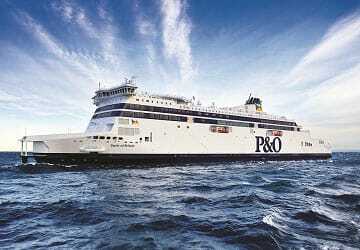 I recommend P&O experience. 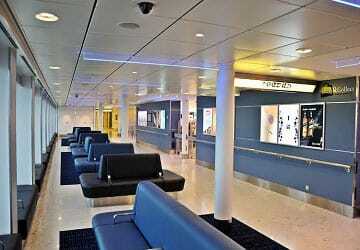 Great travel experience... from checking in at Dover to boarding the ferry, greeted by helpful staff. Stress free journey. 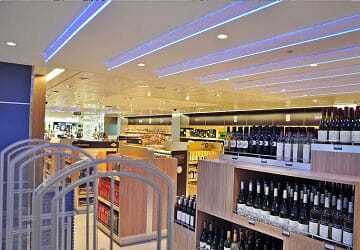 When we returned three days later the process at Calais was as efficient and stress free. I haven’t been on a ferry for many years but will definitely be using this mode of transport more regular. Thank you.